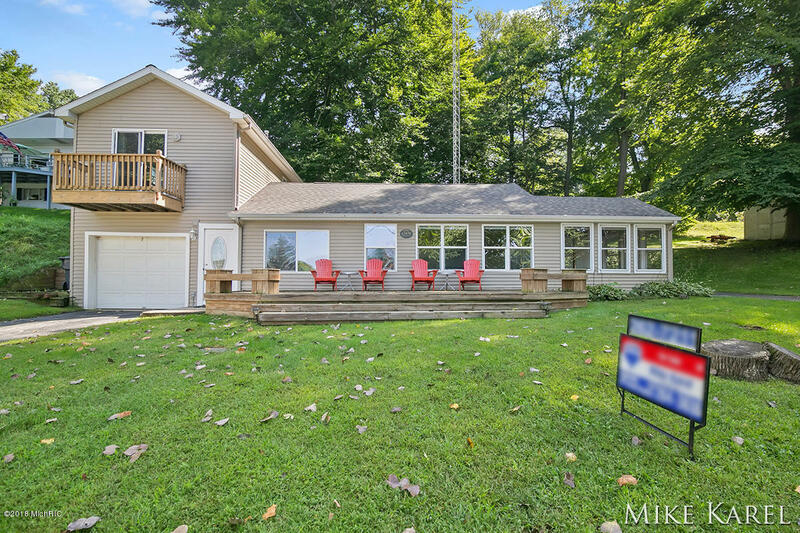 Wonderful opportunity to own this great year round, fully furnished home with deeded access to all sports Shafer Lake just seconds from the property! Just a short drive from GR or the lakeshore/ Lansing area. 3 bedrooms, 2 baths, Updates in the last 3 years include: new furnace, added central air, new hot water heater, new roof on the original portion of the cottage, new wood-look tile floor in the back room and new sliding barn doors in the 2nd bedroom on the main floor. This home has gorgeous views of the lake, 1 stall garage. Call today for your showing.